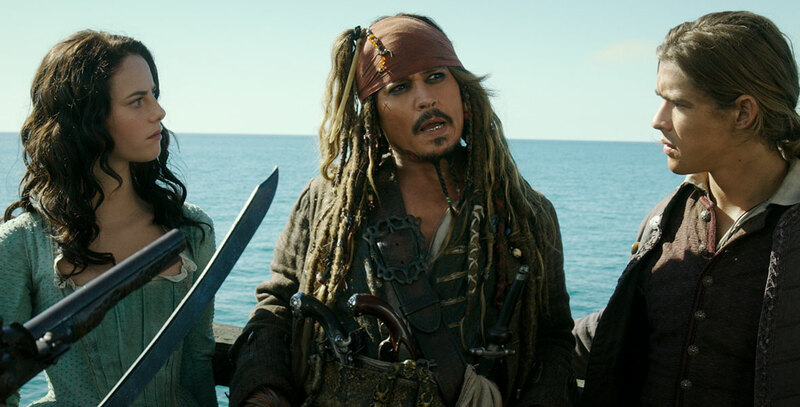 Pirates of the Caribbean: Dead Men Tell No Tales (film) Down-on-his-luck Captain Jack Sparrow feels the winds of ill-fortune blowing strongly his way when deadly ghost sailors, led by the terrifying Captain Salazar, escape from the Devil’s Triangle bent on killing every pirate at sea—including Jack. Jack’s only hope of survival lies in the legendary Trident of Poseidon, but to find it he must forge an uneasy alliance with Carina Smyth, a brilliant and beautiful astronomer, and Henry Turner, a headstrong young sailor in the Royal Navy. At the helm of the Dying Gull, his pitifully small and shabby ship, Captain Jack seeks not only to reverse his recent spate of ill fortune, but to save his very life from the most formidable and malicious foe he has ever faced. Directed by Joachim Rønning and Espen Sandberg. Released on May 26, 2017, also in 3D and IMAX, after a May 24 release in France and other countries. A world premiere was held May 11, 2017, at the Walt Disney Grand Theatre at Shanghai Disney Resort. Stars Johnny Depp (Captain Jack Sparrow), Javier Bardem (Captain Salazar), Kaya Scodelario (Carina Smyth), Brenton Thwaites (Henry Turner), Kevin R. McNally (Joshamee Gibbs), Golshifteh Farahani (Shansa), David Wenham (Scarfield), Geoffrey Rush (Captain Hector Barbossa), Stephen Graham (Scrum), Orlando Bloom (Will Turner). Paul McCartney appears as a jail guard. 129 min. Filmed in widescreen format at Village Roadshow Studios and other locations in Australia.